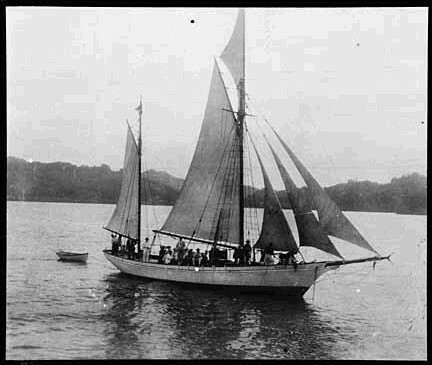 Jack London's two big mistakes during his “Cruise of the Snark” adventure. 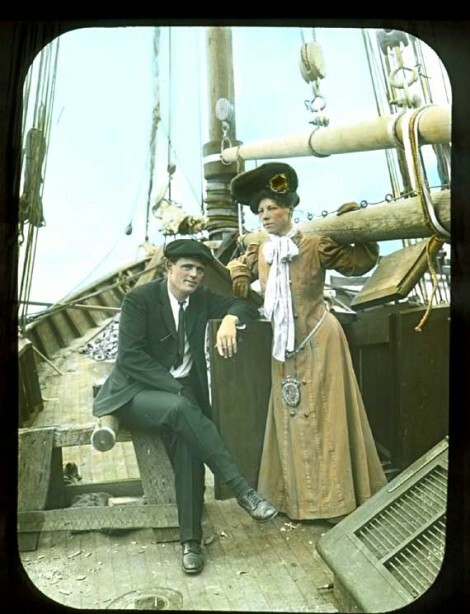 Jack and Charmian London in fancy dress aboard the Snark, on their way to adventure. 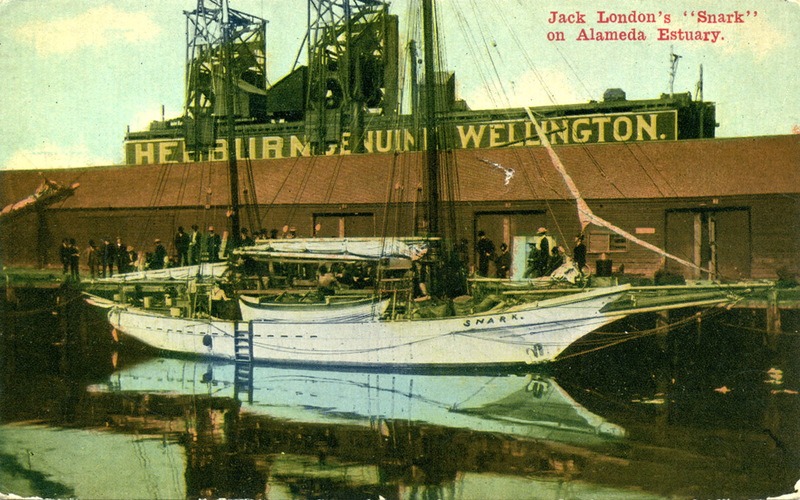 Jack London made two big mistakes during his “Cruise of the Snark” adventure. Either mistake could have caused London, his wife Charmian and their crew to perish at sea. The first mistake was trust. The Snark gets ready to leave at Alameda Estuary near San Francisco Bay. Roscoe Eames and his wife raised Charmian London, Jack’s second and much loved wife, into womanhood and Roscoe and Charmian were very close. So, when Roscoe offered to take on navigation duties for “The Cruise of the Snark,” Jack never thought to question Uncle Roscoe’s claim to be a competent navigator. He soon found out how dangerously wrong he was. Uncle Roscoe making a “sighting”aboard the Snark. It was only after the crew sailed out of San Francisco Bay April 23, 1907 on the Snark, into the high seas, headed for Hawaii, London discovered that Uncle Roscoe couldn’t handle the sightings of the sun and stars during the rough boat movements on the open ocean, or the exacting calculations required to know their position. London was shocked to discover their perilous situation and quickly decided he had better learn navigation himself, because if he didn’t, they would all be lost at sea. 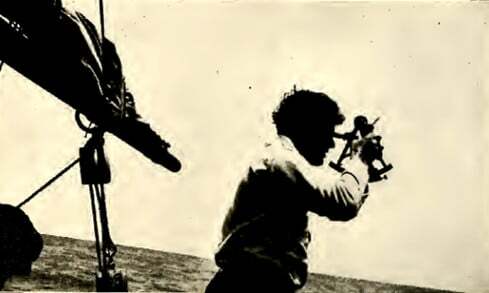 Jack London takes a “sighting” with sextant. There are no landmarks at sea, so the only way a mariner can know his position is by observation of the sky, time, and calculations using navigation formulas. The Snark carried enough drinking water for a passage to the Hawaiian Islands. A mistake might take them past Hawaii into a vast and empty ocean and death by thirst. only real test would be if they actually arrived safely. Thankfully, they did. After twenty-seven very stressful days and nights at sea, the Snark, rounded Diamond Head and landed in Honolulu, Territory of Hawaii. It turned out London really did know exactly where he was every minute of the journey. Jack London had mastered navigation! 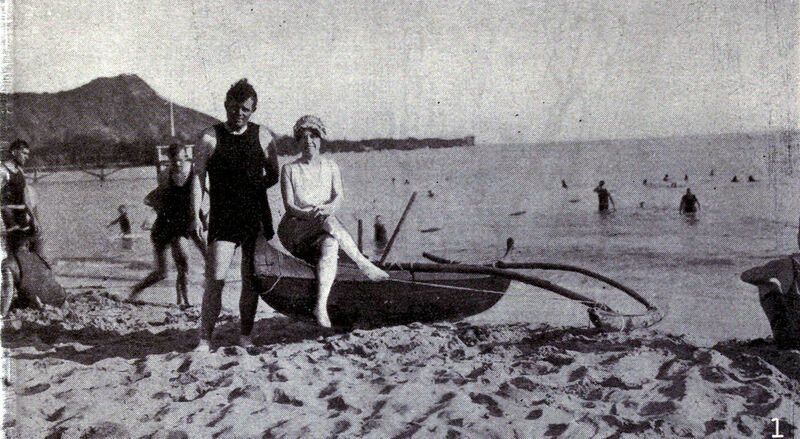 Jack London standing up on a surfboard at Waikiki Beach. 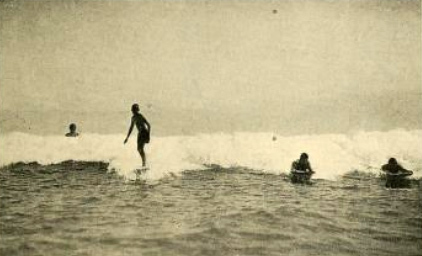 In the Hawaiian Islands, London learned surfing on Waikiki Beach; he introduced the new sport to thousands of readers, who followed his journey through magazine articles he wrote and posted along the way, published in Woman’s Home Companion and Cosmopolitan magazine. Jack and Charmian rode on horseback through the irrigation scheme on Maui, leading to waterfalls tourists see today along the road to Hana. They visited the leper colony on Molokai; they explored, on horseback, the dormant volcano Haleakala that Jack called “The House of the Sun.” But he didn’t coast downhill from the Volcano on a bike as some of us have done in the present day. When a boat is in “The Doldrums,” there is no dependable wind at all. The boat can make movement because of the current, but there is no pressure against the sails –no force to move a boat along. Unless a boat like the Snark runs into a lucky wind, those onboard the boat could run out of water and perish. 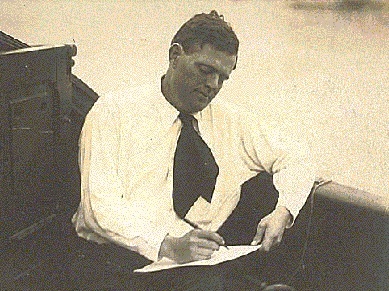 Jack London on board the Snark wrote every day during the adventure. This is where Jack London made his second mistake. He never read the sailing directions. So, not fully understanding the danger, Jack London sailed the Snark southward, out of the reliable trade winds and into the variables. Tacking to keep ahead of the wind and then finally loosing the wind, the Snark finally just floated there, not moving, stuck under the hot tropical sun, and then, in the suffocating black breezeless night. Charmian London in the South Pacific. rescue. If they would perish, they would perish alone. Back in the United States, friends of the Londons began to worry. “In the midst of a heavy squall, the wind shifted suddenly to the Southwest. It was the Trade at last,” London wrote. 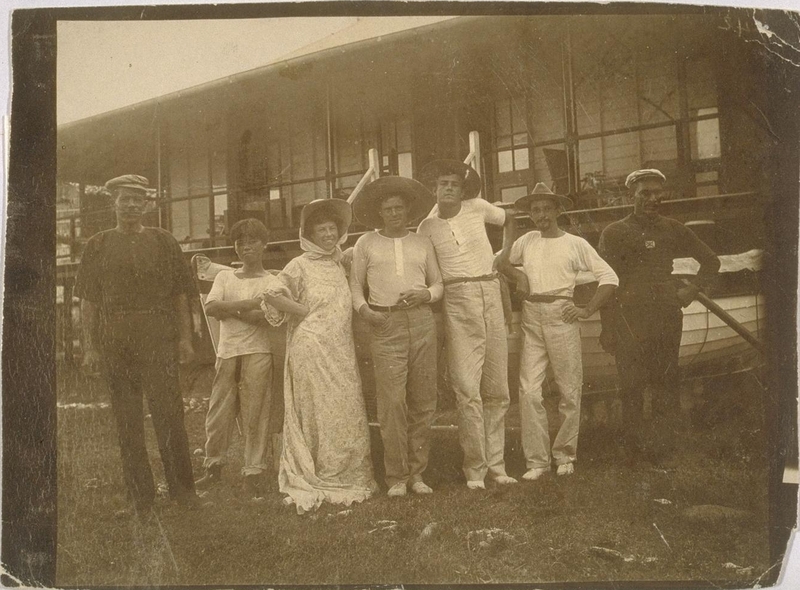 Ten days later, they sailed smoothly to leeward of Ua-huka to Nuka-hiva and the bay of Taiohae. Against all the obstacles of nature, they made it across the Pacific Ocean. They threatened its life with a railroad share. 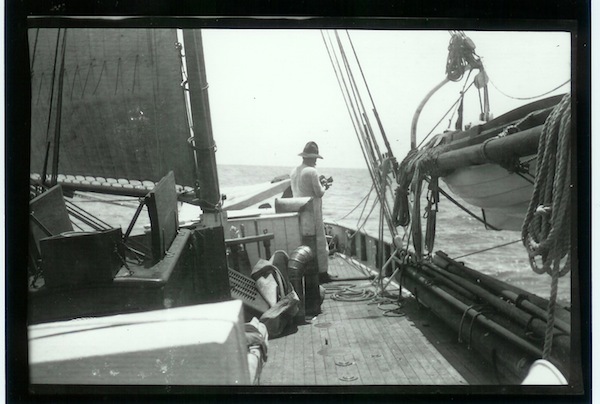 Jack London’s pursuit of his imaginary Snark included the idea of circumnavigating the world. Alas, the journey ended in Sydney, Australia, where London spent five weeks in the hospital recovering from a tropical illness. 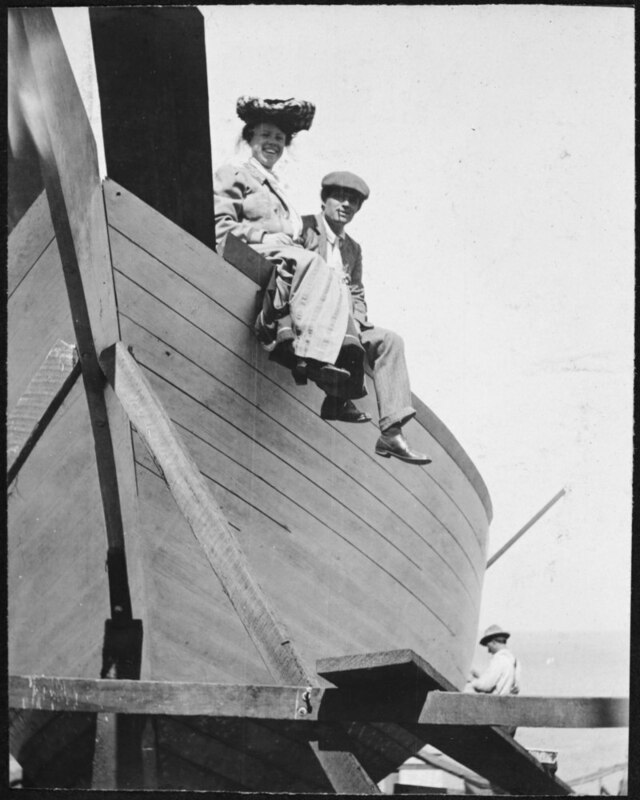 London and Charmian came back to the United State by commercial passenger ship, leaving the Snark in Australia. They never boarded her again. “The mysterious malady that afflicted my hands was too much for the Australian specialists. It was unknown in the literature of medicine. No case like mine had ever been reported,” London wrote. “The Cruise of the Snark” is different from most of London’s other books. It is about his real life adventure as he lived it – the great moments of discovery and joy and the difficult ones and the mistakes. Jack and Charmian London on the Snark in the boat yard, before the adventure began. It is a description of a man and wife adventure team, who faced obstacles and through sheer pluckiness, determination and a great deal of just plain luck overcame those obstacles. They had a grand adventure in a time before radio communication, satellites, and digital everything.